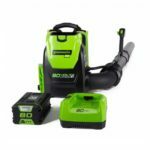 A new AEG cordless backpack sprayer has been spotted in Australia and the most interesting part is that it’s compatible with 18 volt and 58 volt batteries! 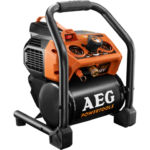 We all know that AEG is Ridgid overseas and they have their popular 18V line of tools along with a 58V line of outdoor power equipment. 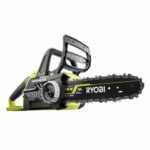 Interestingly enough is that their AEG 58V tools are essentially the same (minor cosmetic differences) as the USA Echo branded 58V outdoor power equipment found in Home Depot stores. 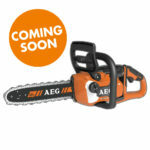 Lots of new and original AEG tools eventually become Ridgid branded tools although not all of them. While they could bring this over to the USA as a Ridgid branded tool I feel marketing this tool would be difficult because of the Echo 58v stuff and trademarking and licensing issues. Unless they sold it as Ridgid and marketed it as a “partnership” with Echo to support the 58v batteries I don’t think this will realistically make it’s way here to the USA as a dual voltage tool. Unless they made it 18V only for Ridgid here in the USA. A big thanks to Glenn and Joshua B. for spotting this! 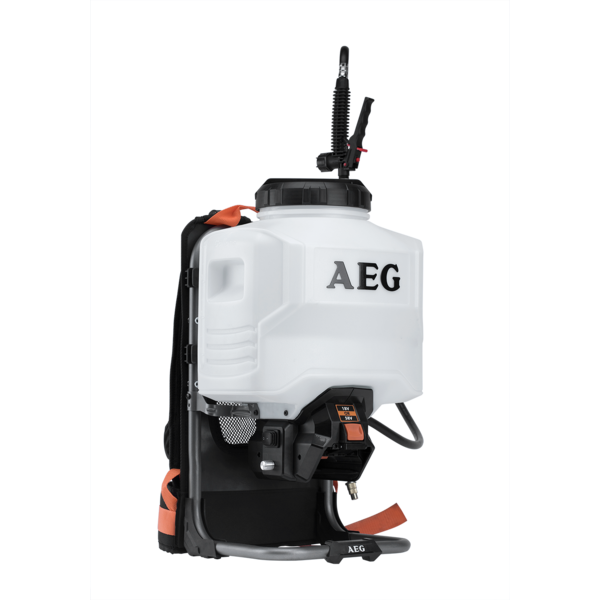 Designed to save you time & effort on spraying jobs, the AEG 58V/18V Hybrid Backpack Sprayer eliminates the need to ever have to pump a manual sprayer again. 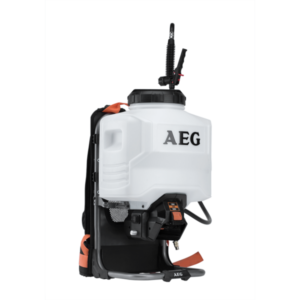 The AEG Sprayer is designed to operate with EITHER an 18V, OR a 58V Battery, providing either option to the user. The unit features a flow-rate adjustment dial so you can dial in the flow setting to match your application, as well as a brass nozzle with adjustable spray pattern. 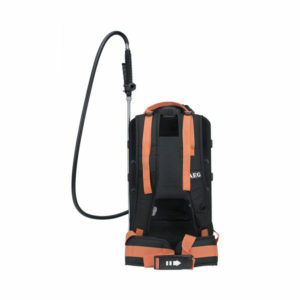 The translucent, 15 litre capacity tank with litre markings has a large opening for easy mixing & cleaning. The comfortable harness & mesh backing allow for ultimate comfort. The unit is also fitted with chemical-resistant seals for longevity.